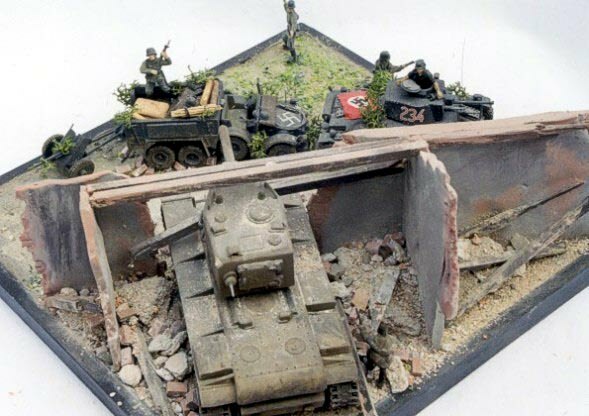 This diorama in 1/76 scale represents German column surprised by Soviet heavy tank KV 2. 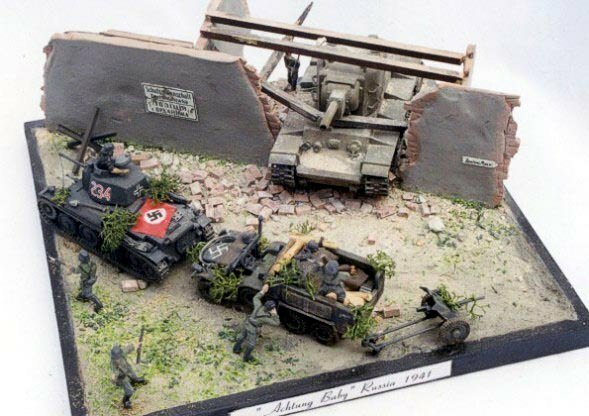 The diorama is inspired by my own fantasy supported by my knowledge in history of first battles on east front only. The diorama title is inspired by U2 disc with same name.